These two teams first met in the semi-finals of 1999, and this will always be a happy memory for the hosts. Zalgiris won this game and went on to win their only Euroleague title so far. This will be the 12th clash between these two teams and they have contrasting fortunes in the Euroleague so far this season. The hosts are currently 0-3 and they have an overall 5-8 record for the season. Given the fact that Zalgiris have the poorest defensive record in the Euroleague Top 16 so far, allowing 92.3 points per game, this is an area that needs worked on very quickly. They are also allowing an average of 38 rebounds per game in the Top 16 and these two statistics provide plenty of insight into why the team has lost their three games at this stage of the campaign so far. Paulius Jankunas is the key man for the hosts and he’ll need to be at his very best if the Kaunas fans are going to have much to cheer in this game. 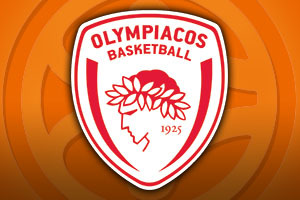 Olympiacos have achieved success with an extremely strong defence and they are ranked second best in the Top 16, only allowing up an average of 71.7 points per game. Vassilis Spanoulis has been instrumental in the work the team has put in this season but they have also been boosted by the form of Darius Johnson-Odom and Vangelis Mantzaris. With a 10-3 record overall in the Euroleague this season, and a 2-1 record in the Top 16, the Greek team will be feeling rather confident going into this game on Friday evening. The home fans will create an exciting atmosphere but the away team have the players and mentality to quieten down even the noisiest of fans. 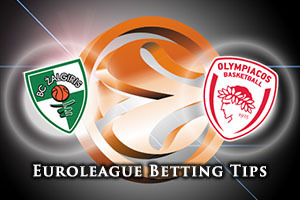 You should be looking to back Olympiacos Piraeus at -6.5, which can be found at odds of 1.90. Anyone who holds an interest in the Over/Under market for the game in Kaunas on Friday night should look to go OVER 149.5, which can be found at odds of 1.90. Bet Now!